Building on Jawun’s proven track-record of supporting the capacity of Indigenous communities, j.HUB is a new and innovative line of business providing reform advisory services to Indigenous communities. j.HUB’s mission is to ensure the success of Indigenous-led reform agendas by empowering Indigenous communities with access to best practice information, design advice, and implementation support. j.HUB is not a traditional consultancy. Our team will not be given a problem by community to go away and deliver a solution, only for that solution to be out of place, unimplemented and sit on a shelf and gather dust. Instead, j.HUB’s guiding belief is that with the right information and a guiding process, communities are best placed to identify the right priorities and design solutions that are the best fit for them. The team and clients of j.HUB will benefit from Jawun’s broad stakeholder network in the corporate and government sectors, as well as strong relationships with some of the most respected Indigenous leaders across Australia. 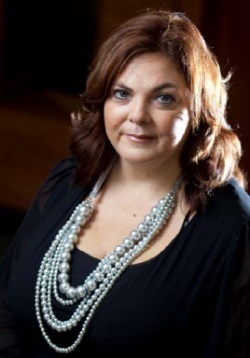 After spending the majority of her career in Indigenous affairs across Australia, Rose returned to her hometown of Cairns to support Cape York Indigenous welfare reform and spent two years with Cape York Partnerships as their CEO. In June 2009, Rose was appointed as the Jawun Cape York Regional Director and in July 2012 and was promoted to the GM Remote Regions. In May 2017 as Executive Director of j.HUB; Rose is leading Jawun’s newest business arm working to create a co-design team of experts working Indigenous leaders – in their community – to develop an evidence-based community-level reform priorities, to co-design solutions and assist with implementation challenges. Rose’s career began in the mining industry in the Torres Straits and New Guinea before she transitioned to Indigenous Affairs. Since then, Rose has had numerous roles with the Australian Government throughout the Northern Territory, Western Australia, Cape York and Tasmania living and working in remote communities. Rose has an Industrial Science Degree from James Cook University and a Diploma in Public Sector Management. 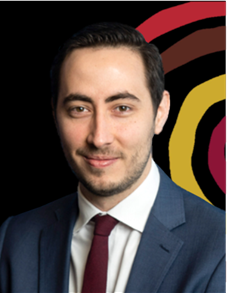 Jack is the Project Lead of j.HUB, leading project delivery for Jawun’s business arm across Australia – working with a team of experts and Indigenous leaders in their community, to co-design evidence-based community solutions for reform priorities.